I’ve done it! I’ve veganized my Mother in-law’s kugel, potato cake! And it couldn’t have been easier. All I did was remove the eggs. I didn’t replace it with anything else, simply removed them. And the result? Exactly the same! 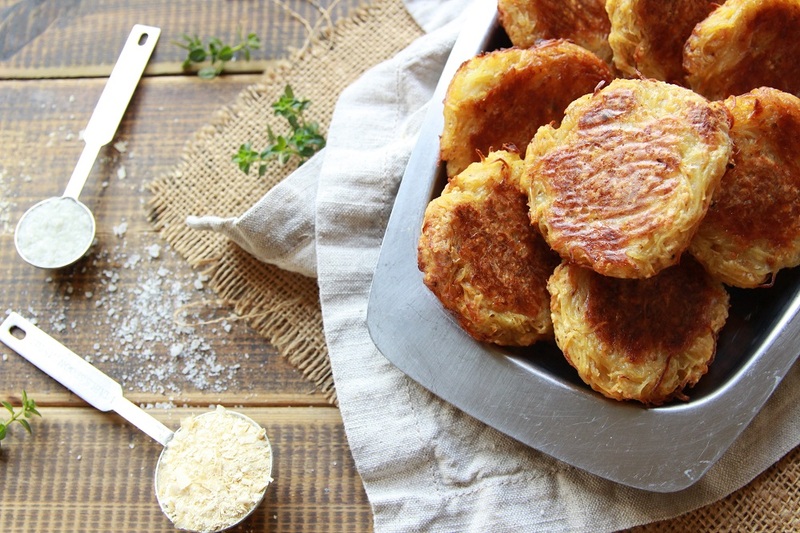 I turned mine into individual sized vegan potato cakes – latkes, but they can be baked in a pyrex tray, and cut up into squares. They’re comforting, have only 6 ingredients, and taste heavenly. So, I’m sure you can imagine how excited I was to let her taste them. Guess what? She couldn’t tell the difference. That’s the beauty! A lot of the time non-vegan recipes have animal products just for the sake of it, but don’t serve a purpose, and can easily be removed. All you’ll need is to get your hands on matzo meal, which can be found in kosher food stores, or in the kosher aisle of your grocery store, and you’re all set to go. Preheat the oven to 320 degrees F (160 C), then peel and grate the potatoes and onion and place into a bowl. Next, add the olive oil, matzo meal and sea salt, and give it all a good mix. If your mixture is still a bit soggy add an extra sprinkle of matzo meal. 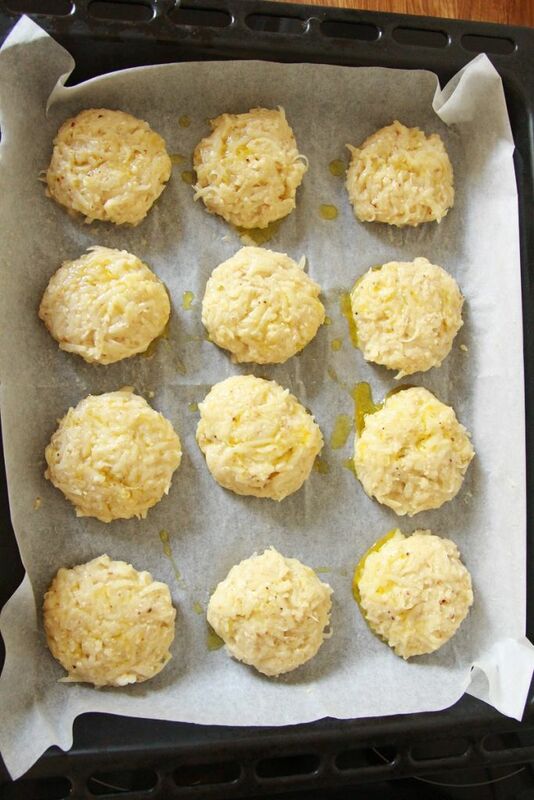 Form 12 vegan latkes and place them onto a baking tray lined with baking paper, then pop them into the oven for 15 – 25 minutes, or until golden brown. Take them out to slightly cool and dig in! Here are a few recipes I think you might like. 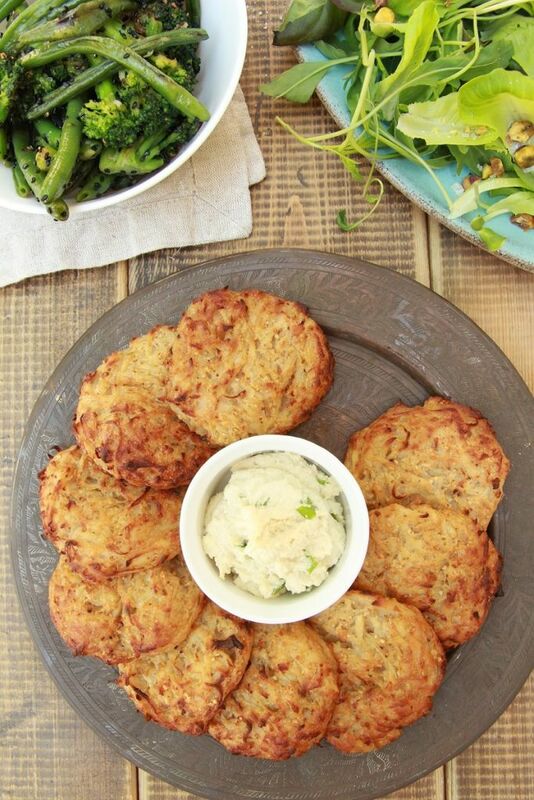 Savory Vegan Drop Biscuits that’ll be ready to pop into the oven in under 5 minutes! 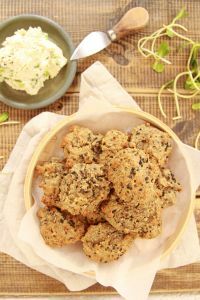 Served with a delicious easy to make spring onion and garlic cashew cream. 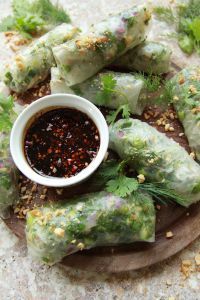 Or if you’re in the mood for some refreshing goodness then these Vegan Summer Rolls are for you! Served with a sweet and sour tamarind sauce. Be warned because they’re super addictive. 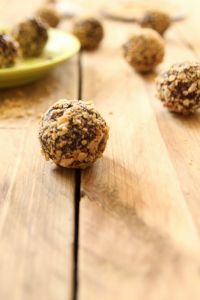 And for your sweet tooth are these insanely delicious No Bake Chocolate Bliss Balls. Rolled in toasted almonds and perfectly infused with coffee, you need these in your life! 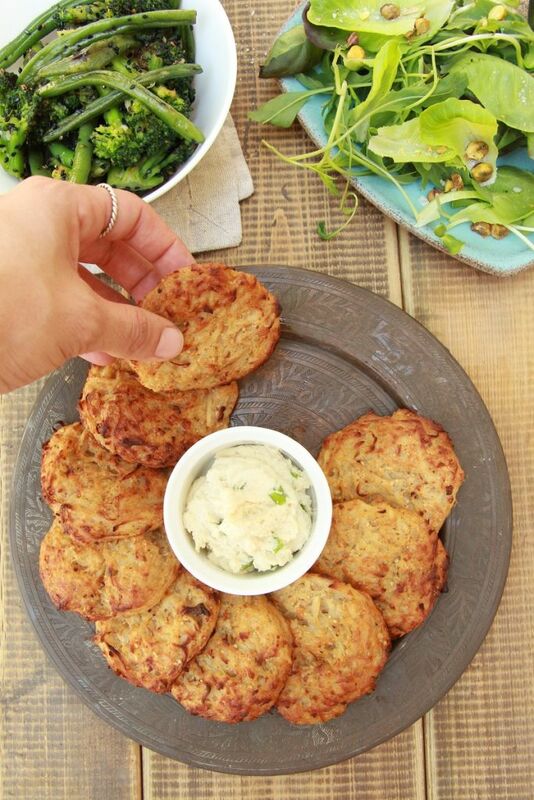 ← Savory Vegan Drop Biscuits In Under 5 Minutes! Looks great! Can we use regular A/P flour instead of the matzo?